When I switched over from law to literature, my father raised his eyebrows as if to ask: :Are you crazy?" But I never regretted my decision to become a writer instead of a lawyer. This does not mean that writers are better than lawyers. Far from it. That's the way the cookie crumbles! My long association with authors has convinced me that literature is the handmaid of prophecy. In other words, literature interprets human nature. When government and religious institutions are giving us some comfortable cushions to sleep on, literature has been awakening the sleepers with thunder and lightning. When human rights, liberty and truth are under threat, literature has urged man to raise his voice against injustice. Dipping their pens in ink, writers have scorned authoritarian rulers and malpractices of the religious establishment. Having understood the human predicament, they have been trying to entertain and enlighten the reading public. If not for literature where else can you read about human sorrows and joys? It is also through literature that we see the gradual growth of civilisations and also their rapid decline. For instance, we know how the great civilisations of Greece and Rome crumbled over the last few centuries. Literature is not a record of events that took place in history. That is done better by the historian. A novelist, a poet or a dramatist is not a gazetteer or a compiler. Literature is also not science. It is the heartbeat of man. As a result, literature appeals to most literate people than any other subject. Literature has soothed human suffering to a great extent. Those who are not interested in literature may not derive any benefit from it. But the majority of educated men and women have embraced literature. This is not surprising because most writers have undergone untold suffering. Most of them had been stricken by poverty which is often the forcing ground of genius. Eminent writers have never been camp followers or political henchmen. Instead, they preferred to undergo suffering, hunger and want. Great literature has sprung from human experience. When we read about Chaucer's pilgrims, moral allegories of Spenser and Bunyan, Shakespeare's memorable characters or nature worship of William Wordsworth, we are transported to a different universe. Writers have widened the horizon of literature to such an extent that we invariably owe them a great debt. If not for the poets, who will talk about daffodils, solitary reapers, nightingales or fairies? Their poems touch our heartstrings and give us a moment of bliss. Shakespeare's tragedies and comedies have encapsulated all types of characters. Their thinking and ways of living have given us a clear picture of human nature. Although the human race has developed technologically, we still hear the sad music of humanity. Despite creature comforts modern man is an unhappy person. This is what literature has been trying to probe. Most novels and poetry have addressed this issue in depth. At one time of course, literature was thought to be a rose garden or a landscape of snowy mountains. However, many writers such as Charles Dickens, Leo Tolstoy and Victor Hugo have disproved this theory by depicting ordinary men and women who undergo immense suffering. Vocabulary plays a major role in literature. Writers may have lofty ideas, but if their vocabulary is poor, what they write will be meaningless. If a writer has tasted life's experiences and learned the meaning of our existence, everything he says will be of importance. The water of a river takes on the colour of the soil through which it flows. Similarly, what a writer says will be coloured by his words. Thus, every writer has his own way of clothing his experience. This is called the style. The word itself comes from the Latin word 'stylo' meaning 'pen'. A competent graphologist can tell us something about the character of a writer. As hands written books are no longer available, we are unable to analyse their handwriting. Instead, we can analyse their style. All writers represent their age. They are creators of their environment. The writer may be stirred by the struggles of his countrymen. He may also be influenced by the beauty of nature. For instance, ancient Greeks thought that liberty was the most sacred heritage of man. 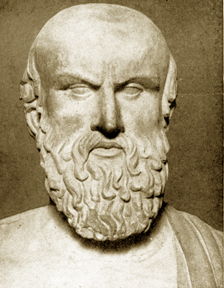 Aeschylus, Sophocles and Euripides tell us how Greeks interpreted life. Aceschylus himself was a warrior who fought at Salamis. When the battle was over, his heart was filled with poetic utterances. The dominant power of literature, today is the novel. It reflects men and manners. The modern novel is not didactic as in the past. Today it is a more complicated creation. The subject matter of the novel is endless. Sometimes, the novel may have the ethical quality of fiction. The old Greek tragedians showed that justice will never leave a sinning soul. When a man steps into evil, he sets in motion all the invisible mechanisms of the universe to punish him.